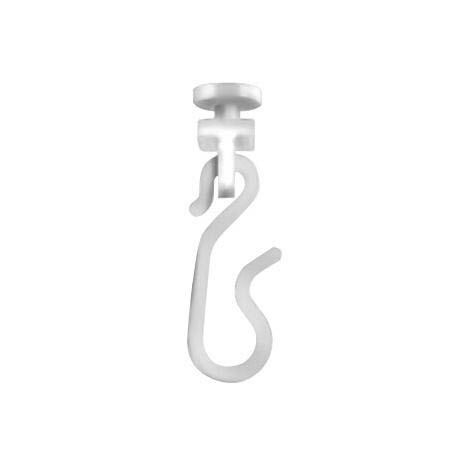 The Croydex Module 4 Hook & Glider Pack, made of nylon this hook and glider pack can be used Module 4 Profile 400 and 800 shower curtain rails, when more than one shower curtain is required. The diameter of the top part that clips in the rail is 10m. The length without the hook is 15mm, the length with the hook is 40mm. Good efficient service with the right products requested. i CAN NOT BELIEVE I HAVE FOUND THESE BEEN LOOKING ALL OVER SOMERSET FOR THESE. WELL DONE VICTORIAN PLUMBING FOR KEEPING THESE IN STOCK, AND YOUR FRIENDLY TELEPHONE SERVICE, WOULD TELL MY FRIENDS ABOUT YOUR GOOD SERVICE. THANK YOU FOR YOUR HELP. I have been looking all over for these, so chuffed to have found an identical product to hang my shower curtain. Fast and good service, would defiantly use again. Absolutely delighted to be able to order these items. I have been searching all over Ashford, Kent at the DIY shops for this item but to no avail. I can now put up an extra shower curtain without having to buy a complete new rail.